A typical joint in dissassembled form. Showing most of the pieces. You should be able to pull the axle shafts straight out of the knuckle after removing the spindle. A question was asked about instructions in TM 9-1803B…Above is a detail shot of what I believe was being referred to… “TM 9-1803B talked about a retainer and some screws? Do I pull the axle shaft and then remove this retainer and screws to remove the joint?” Remove the three flat head screws then you can take the cv joint apart by following the instructions in the TM.. An illustration showing the various parts. Note the three screws. 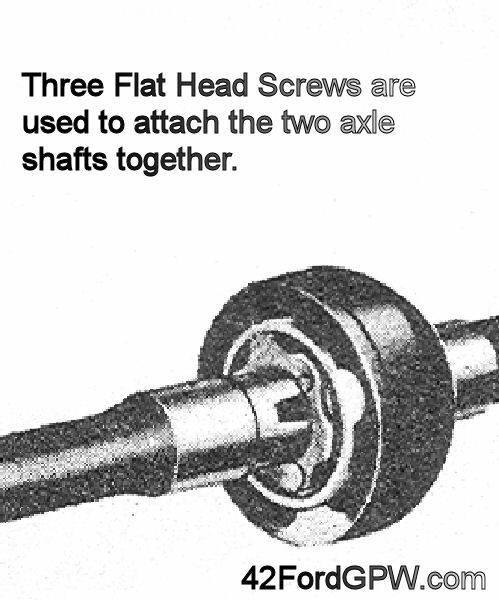 These are in a washer like object, called a retainer, that mates the two shafts together.